DENVER – From social media to door-to-door campaigns, political campaigns in Colorado are going to great lengths to attract new voters to the polls this year. 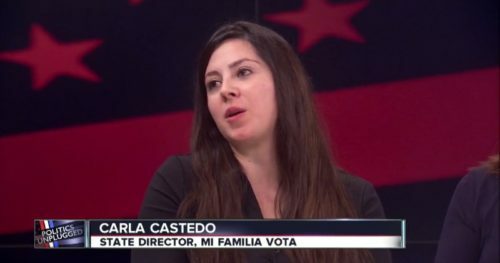 On this week’s Politics Unplugged, Maria Handley of Generation Latino and Carla Castedo of Mi Familia Vota talk to host Marshall Zelinger about efforts to get Latino and younger voters involved in the political process. They say some people they talk to just need a little prodding on how to get involved.